Ludoku adds a new spin to contemporary puzzle gaming as we know it injecting a fresh dimension of brain-teasing wonderfully intertwined with an adventurous storyline across a Mayan temple rife with treasures and traps in equal measure. With added perks such as teleportation and jumping among other lovely functionalities, Ludoku moves away from the blandness of contemporary brain teasers adding endearing features that’ll keep you looking forward to the next level. i) 100 different challenging levels that coalesce into perfect synergy furthering the background plot whilst presenting fun challenges of escalating difficulty. ii) A plethora of exciting boosters to help you out including turners, subtracters, number boosters, and jumpers. iii) State of the art base puzzle mechanics that guarantee seamless gameplay that is adeptly responsive and crystal clear. iv) Free-to-play functionality i.e. you don’t have to pay any fees to gain access to the enthralling world of Ludoku. v) An intriguing plot where you work towards collecting all the treasures inside the temple. vi) Interesting dangers such as fire traps, lasers, enemies, walls, and spikes that stretch your problem-solving skills to the fullest. 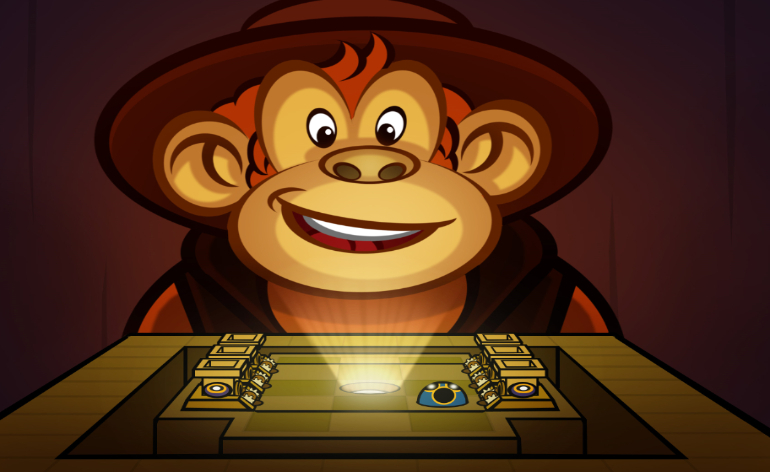 The gameplay is divided into a number of chapters with each availing a certain number of levels that you must complete to a free a treasure locked within the bars in the background. Navigating through levels involves moving a monkey head shaped marble toward a finish point (highlighted as a circular white light) using pullers equipped with different pulling powers. A puller numbered 1 will take you across one tile, another numbered 2 will take you through two tiles and so on. By combining the use of various pullers and boosters you can work your way around traps and towards the endpoint to successfully complete a level. Ludoku simply stands out for its ingenious approach to puzzle gaming. It endearingly reinvents the wheel by fusing an adventurous story mode within the underlying board games ensuring you’re actually working towards a certain goal and not just blatantly blazing through levels. The combination of special moves and new features/dangers at every turn also gives it an edge over the rest. It’s definitely a game that you can play for hours end and still want more of the same! Head on over the Android PlayStore to get a feel of just why Ludoku is one for the top drawer.